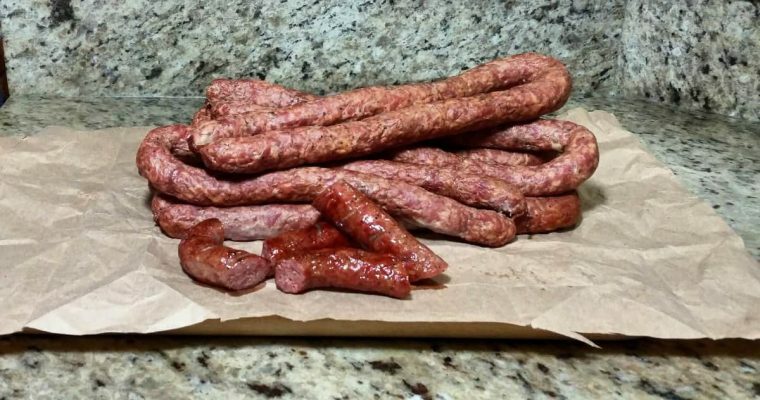 This is a really easy recipe to make and doesn’t take long. 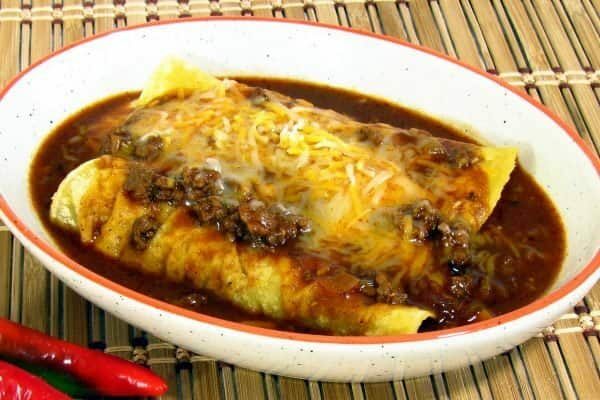 I’m going to put the enchilada recipe at the end just in case you don’t know how to make them but they’re super easy too. This doesn’t work without something to put the gravy on. There are a few different options you have in this recipe. The first has to do with thickening the gravy. Read the recipe carefully because there is an option for not using the chocolate Roux. Next is the cheese. Cheddar, Monterey Jack, Colby and a Mexican blend are all great but shredded Velveeta can be a nice change also. Finally, most people use a pan with a little hot oil in it to soften the tortillas. I don’t care for all the oil so I lightly brush the tortillas with oil and heat in a hot dry non-stick pan just long enough to soften. 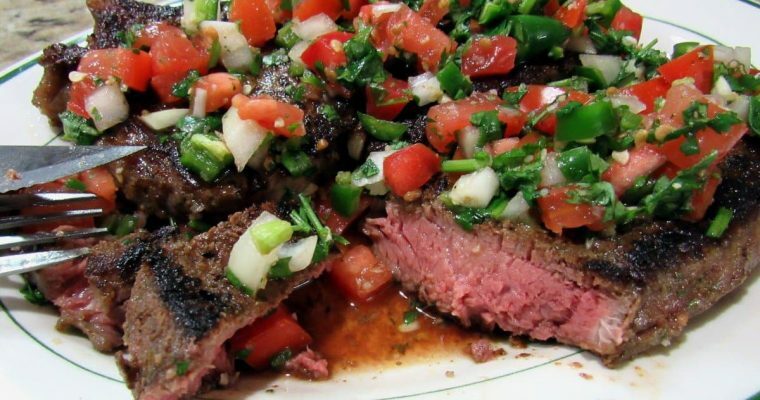 You will probably have some beef filling left over so you can use it for quesadillas, tacos, taco salad or burritos. Also, I like my chili gravy a little on the thin side. If you want yours to be thicker, add 1 tsp of roux at a time and simmer 5 minutes until you get the consistency you like. You haven't lived until you've had some good chili gravy on your enchiladas. This is a really easy recipe to make and doesn't take long. Brown ground beef and set aside in a bowl reserving 1 tbsp of the oil from it and discarding the rest. Saute onions and garlic in the reserved oil until the onion starts to soften. Add oregano, chili powder and cumin. At this point, if you do not have the chocolate roux add also add 3 tbsp all purpose flour. Add tomato sauce, Goya seasoning and broth. Simmer 5 minutes. If you are using chocolate roux instead of flour and it now and simmer another 5 minutes. Taste and add salt if needed now. Remove from heat and keep warm. Add water and seasonings. Mix and keep warm. Lightly brush tortillias with oil and heat until soft. about 3-5 sec per side. If using a hot pan of oil, put tortillias in aoil until soft. Also about 3-5 sec per side. Drain on paper towels. Fill tortillias with cheese, onion and beef filling. Roll tortillias up an place in a 13x9 pan lined with parchment paper. You should have two rows of five enchiladas and two on the end. Place in oven for 7 minutes. 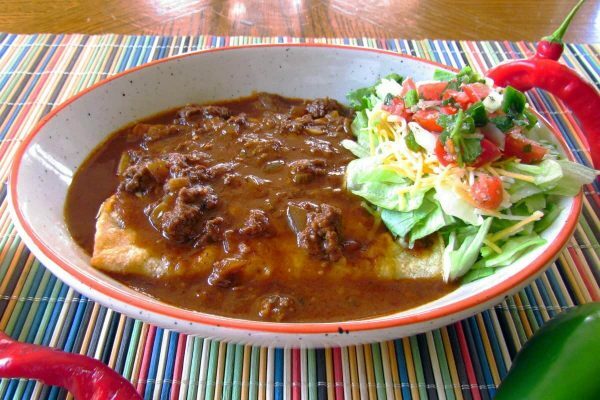 Serve 2-3 enchiladas covered with the chili gravy and any combination of lettuce and tomato, rice and refried beans. Taste your gravy before you add the salt to it. Depending on the salt content of your tomato sauce and broth, you may not need it.